You may receive updates from National Education Association, the sponsor of this form. 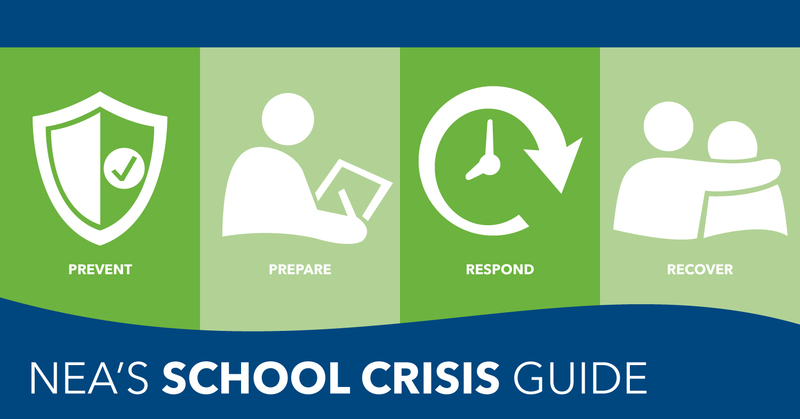 NEA’s School Crisis Guide helps schools prevent, prepare for, respond to, and recover from tragedies like school shootings. It presents resources, tools, recommendations, and evidence-based practices for incorporating best practices in school mental health into school crisis plans.